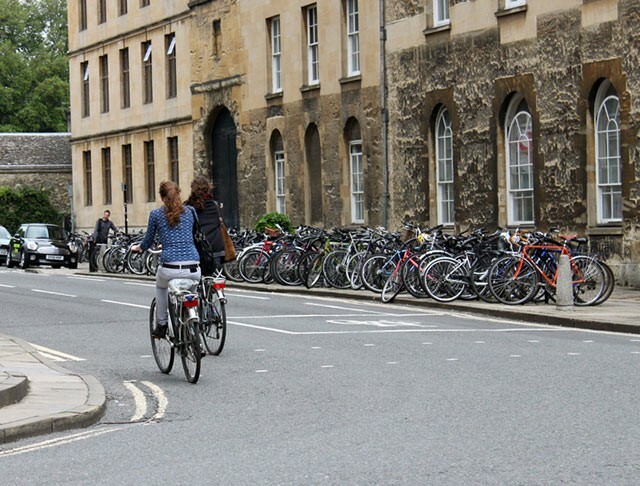 One of the (relatively minor) problems of cycling in Oxford is the lack of parking for bicycles. 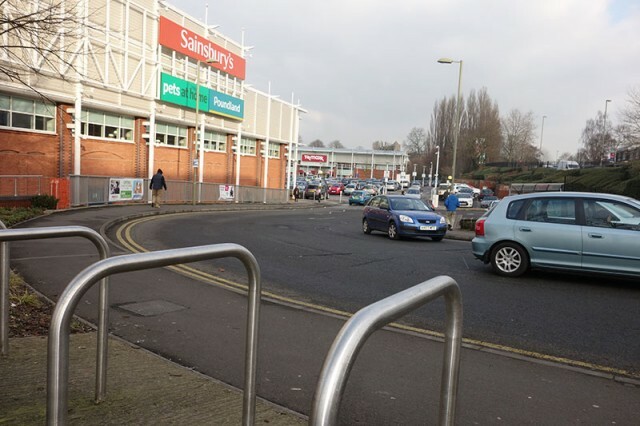 Popular spots tend to be busy, and this can lead to un-organised chaos as you try to find yourself somewhere to park. There is some good bike parking provision. For example on Broad Street. I used to want to get right outside the shop I was visiting. But, now I’ve decided I shouldn’t be so lazy. 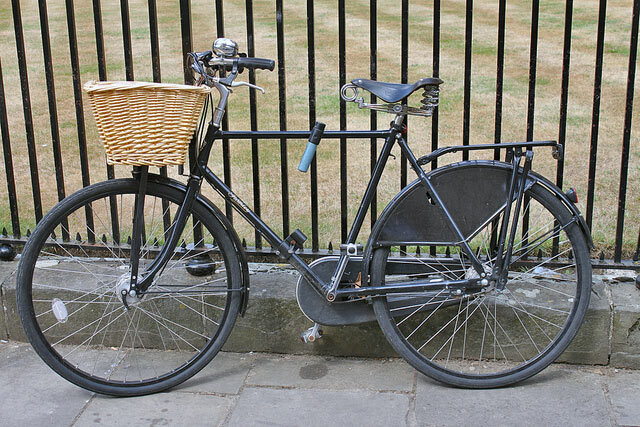 So I park my bicycle here and make use of the good parking facilities, and walk the 50m into Waterstones. 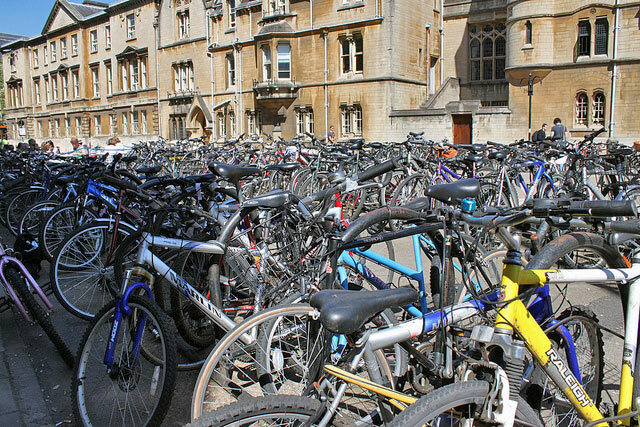 The problem of bike parking is exacerbated by the number of bikes that get abandoned. Students buy a £100 Ammaco from Cycle King, then don’t worry about abandoning it for eternity. The council do have a policy of removing abandoned bicycles, but it is painfully slow. 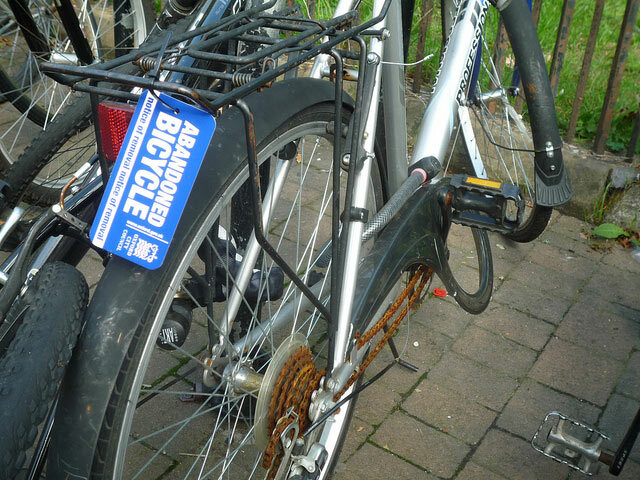 You can see the same rusty bikes for 12 months in a bike rack you want to use. Then finally a ticket is placed on them saying the owner needs to collect it, but then the council don’t come back for another 2-3 months. Often the ‘bike is abandoned ticket falls’ off, in the meantime! So you have to wait another 12 months to hope it will get retagged and retaken. I appreciate the council not wanting to take genuine bikes, but in this case, they are being a bit too generous to bikes obviously abandoned. This is quite near y home in Temple Cowley. There is a big shopping centre, and big car-park. Very recently some brand new bike parking racks have been built. But, I’ve never seen a single bike locked in them. The reason is that the shops (and car park is 200m in the distance). 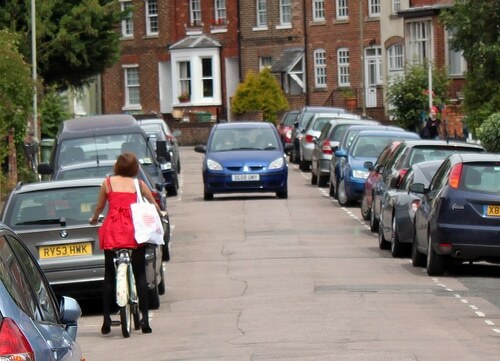 No one is going to cycle 200m away from the shops to park and then walk back. It feels like the owners of the shopping mall had to meet criteria to build bike parking racks so they put it in the least unobtrusive (and therefore most useless place). They meet their criteria to build parking racks, but it is useless to anybody. When I shop I lean the bike against the windows of Sainsburys and lock the bike to itself. Another useless bike rack. Closer than the previous one, but still never used. You can see the massive car park in the distance. This bike rack would take up the space of one car parking spot. But, the owners don’t want to lose even one car parking spot out of 200! Instead they get bikes leaned against the shop windows. It is a short sighted policy. Sometime unofficial bike parking spots are the best. 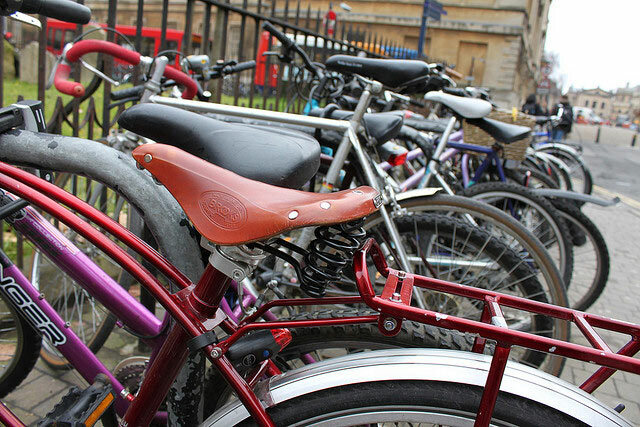 Here the railings around the Radcliffe Camera make a very picturesque backdrop for your bike parking. 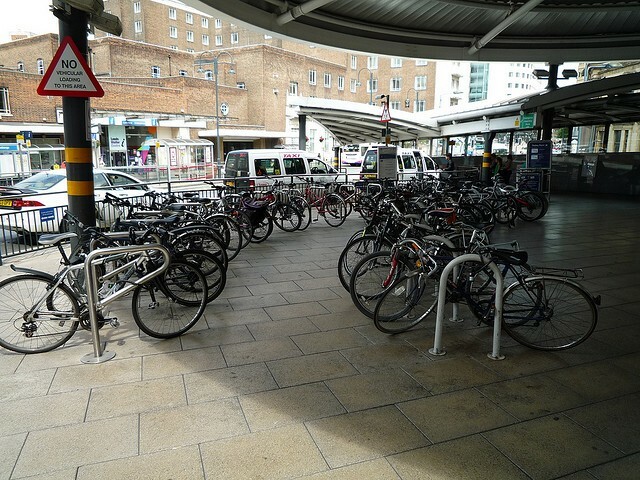 This was a big improvement in Leeds station, bike parking offered undercover. For a small charge you could park bike with Evans Cycles to the right. 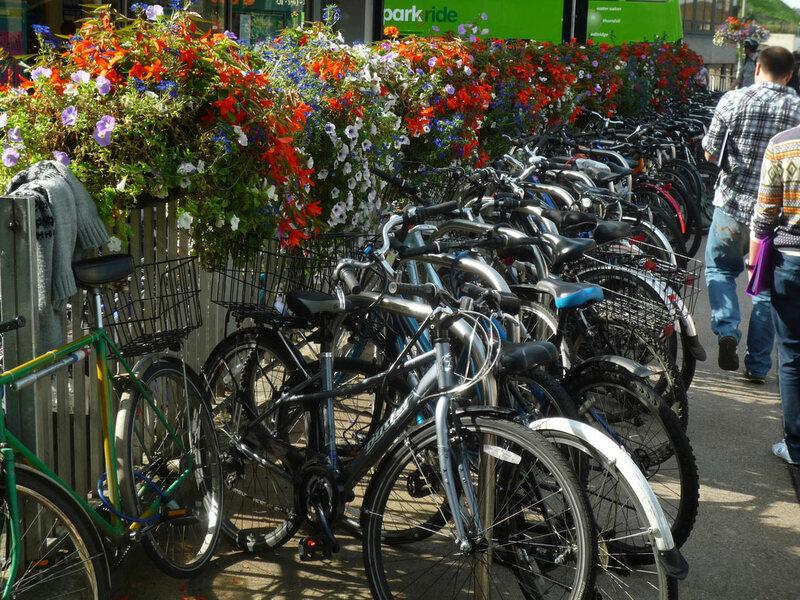 Bike parking is much more cost effective in terms of public space than bike parking. But, often car parking space is prioritised. 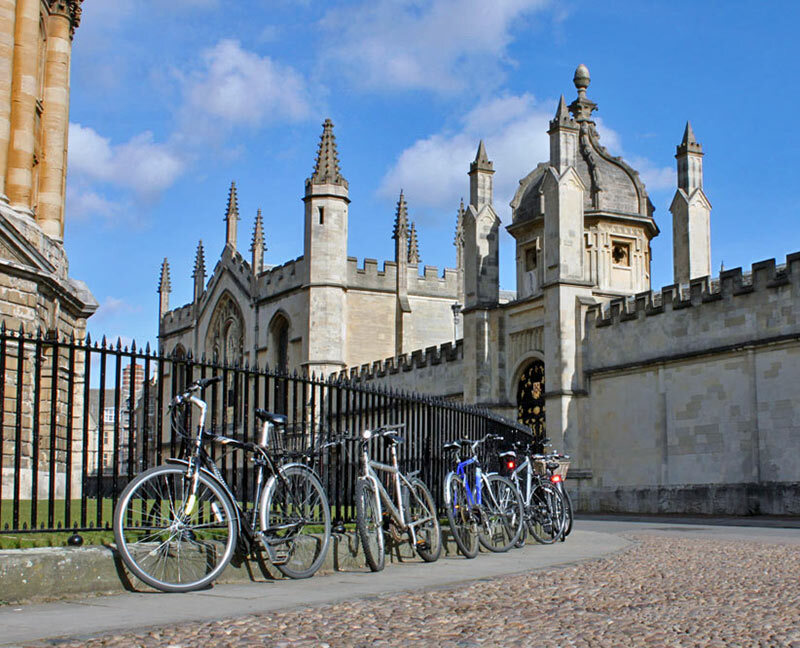 With a lack of parking spots, bikes can end up being parked on the pavement against walls. Here bikes are 2-3 deep. This is outside Lincoln College in the centre of town. Covering up the railings in summer. 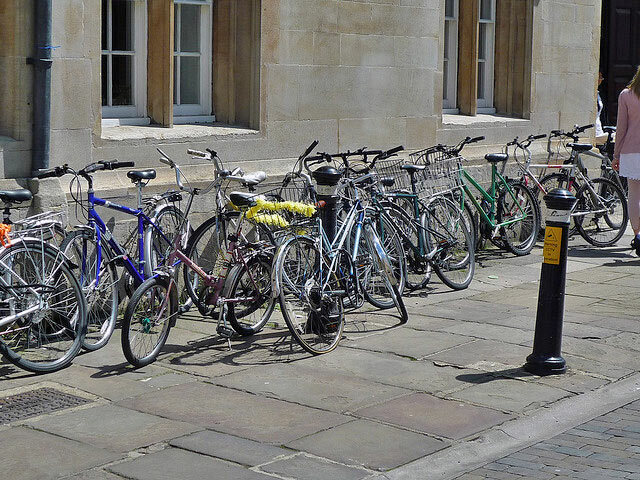 A popular bike spots outside the Westgate. This is interesting; where I’m studying abroad in Germany the cycle parking in much of the town is simply big white painted boxes on the floor (the size of three or four parking spots) for you to lock the bike to itself. 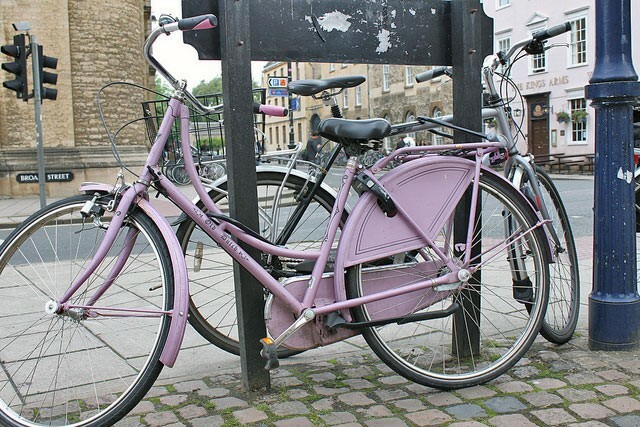 Everyone has kickstands and the cycle density is so great that locking your bike to itself is fine, so it works well. 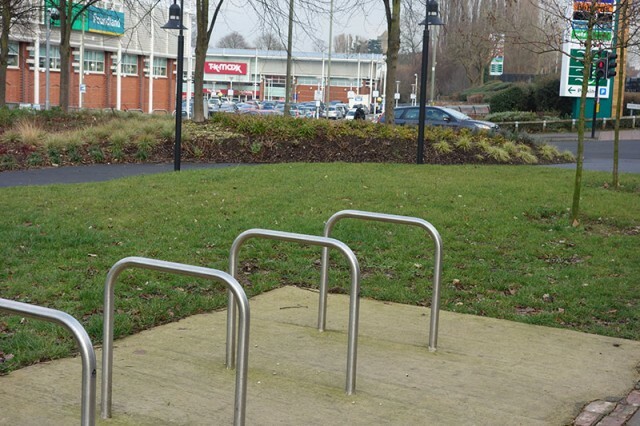 The issue of bicycle parking – even standard sheffield stands which are not under cover – is very sensitive to those who don’t ever cycle (or, not to actually go anywhere). Here in Bristol city centre there are several multi storey car parks within very close proximity, and yet there are probably enough bike stands for no more than (say) seventy bicycles in the whole of Bristol’s “shopping quarter”. It’s a real pain, because most of the shopping area is a business improvement district with strict security guards to make sure you don’t just lock your bike to any old railing, but there really aren’t enough bike parking stands. And yet the local paper is full of comments along the lines of how there are far too many, and they’re ugly, and they take up room on the pavements, etc etc. I have never seen that many bikes in my life. Broad street has so many different bike racks. That is truly impressive. Hopefully there isn’t too much traffic getting to and from your bike. The indoor bike park just opposite Leeds Train Station was a fantastic idea. For a few £s you could leave you’re bike there all day very securely. I couldn’t believe such a good facility was closed down just a few months ago.